Duplicate content on your website can hurt your search engine ranking, and make a bad first impression with your website visitors. Don’t do it! Have you ever been researching a subject on the internet, and gone to a site and remember seeing the very same wording, on a site you were on just a few minutes prior? Déjà vu, but not in a good way. You have probably heard the old quotation from Charles Caleb Colton, “Imitation is the sincerest form of flattery.” Others call it plagiarism. But search engines do not like seeing exactly the same content on more than one website, just like you don’t. Even if one web page was published prior to the page with duplicate content, search engines don’t always give the credit to the site that published the content originally. 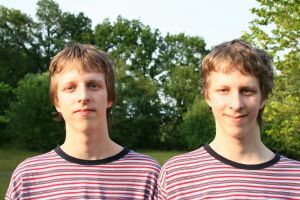 Some search engines drop both websites’ duplicate pages from their listings. People (and search engine robots) who visit your website want to see what to see your unique and interesting information; what makes your business, product, or topic stand out from others. To retain credit and search engine visibility for your content, you can see what other websites have posted the same or very similar content at the Copyscape website. If you need help with your small business website; getting more website visitors on the internet, coming up with ideas to get better results with your website, updating your website with new articles, Jax SEO Works can help. Contact Jax SEO Works. This entry was posted on January 14, 2014, 10:32 am and is filed under Content Development, Resources, Website Development. You can follow any responses to this entry through RSS 2.0. You can leave a response, or trackback from your own site.